The Ocean Shore School Safety Committee is group of parents, teachers, and administrators committed to identifying, evaluating, and taking action to mitigate and eliminate safety and health hazards for our students. We facilitate communication, raise awareness, problem-solve and educate the school community. We engage the school district, city personnel and law enforcement as needed to meet these goals. 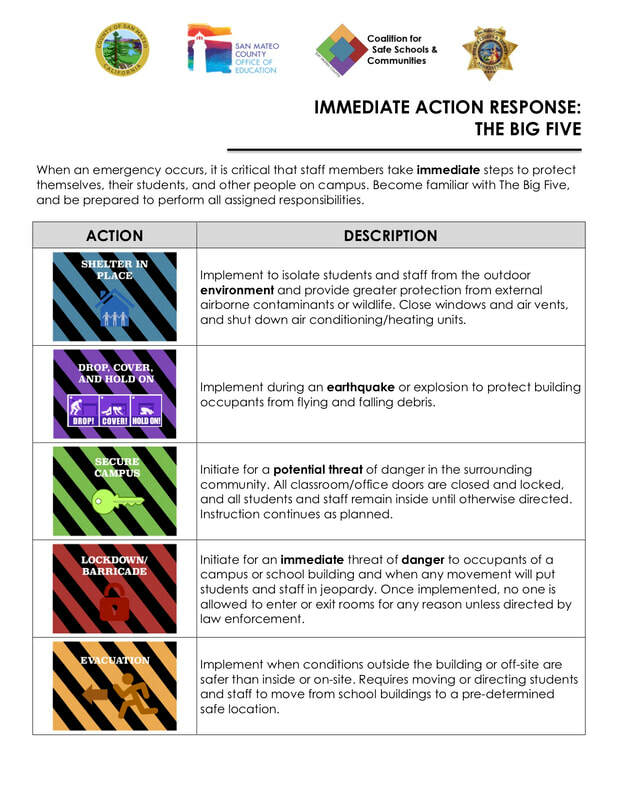 This year, we are working on getting all parents informed about the Big 5 Safety Protocols. ​Please feel free to join us with any concerns you have about safety.